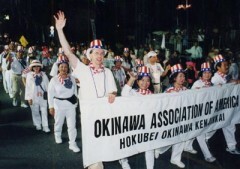 Many Okinawans left their home prefecture to go overseas both before and after World War II, making Okinawa a prefecture in Japan with one of the largest emigrant populations. 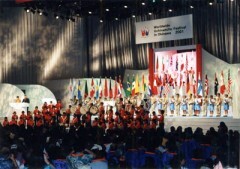 Today, there are about 400,000 people of Okinawan descent in North and South America and throughout the world. These “World Uchinanchu” (Uchinanchu being the Okinawan word for Okinawan people) gather once every 5 years in their home prefecture of Okinawa at the “World Uchinanchu Festival”.